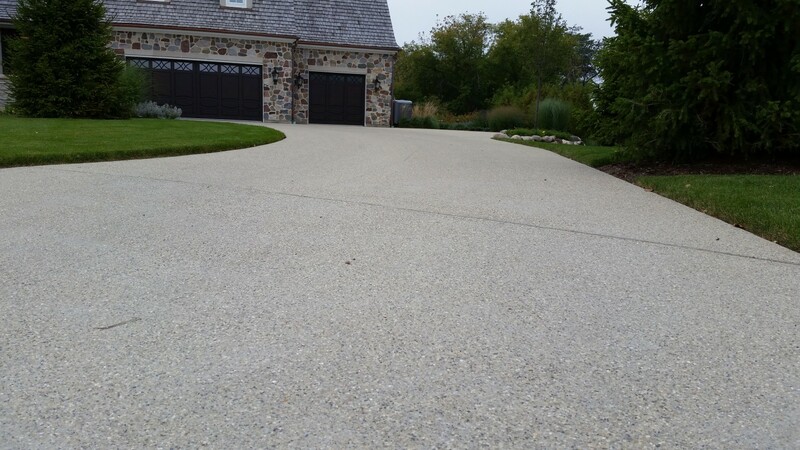 The sweeping curves and smooth interior radius give this new construction driveway great curb appeal. 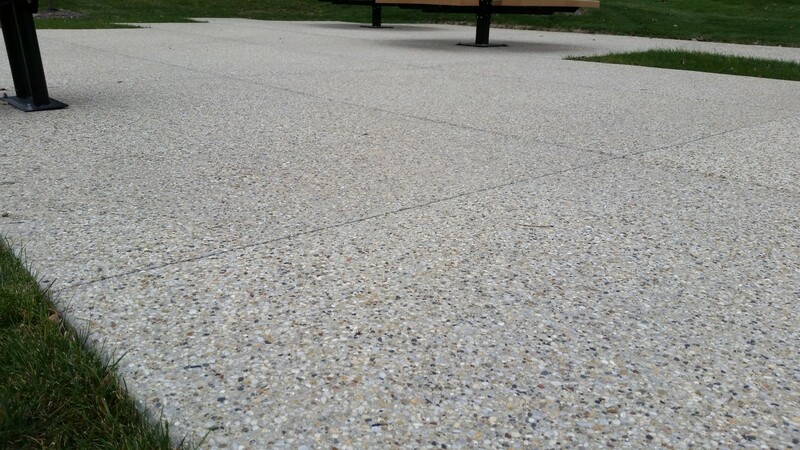 The main exposed aggregate driveway creates easy access to the five car garages. 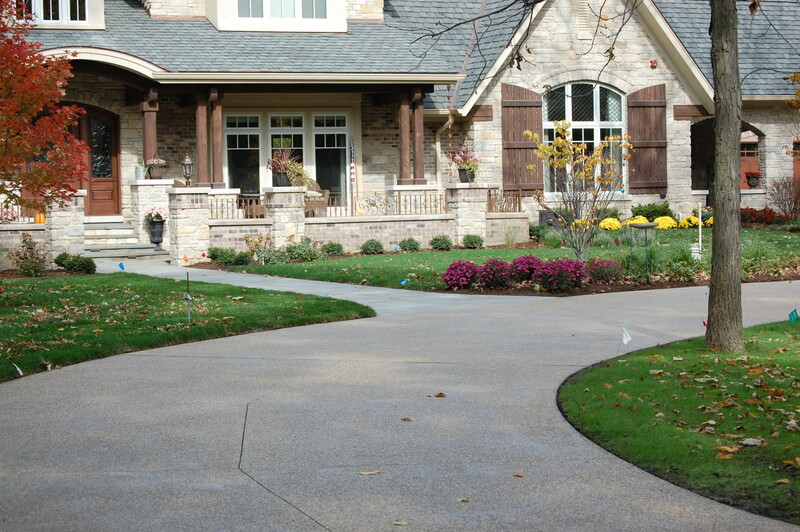 The front entry driveway is bordered by a seeded exposed aggregate banding to create an eye catching design contrast. 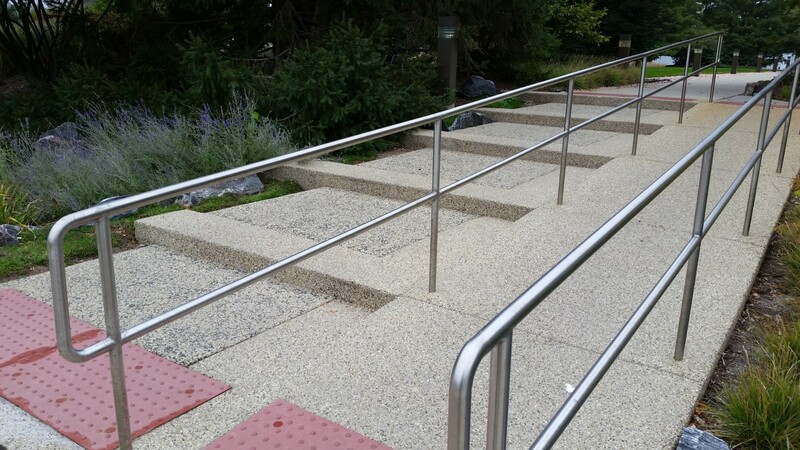 When replacing their existing handicap ramp our clients decided to take the opportunity to improve the aesthetic. 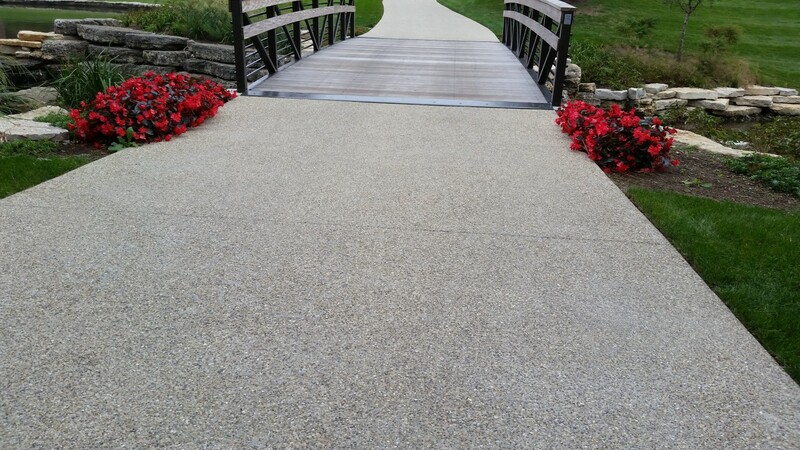 With a custom scoring pattern a multiple colors of exposed aggregate they transformed their entry. 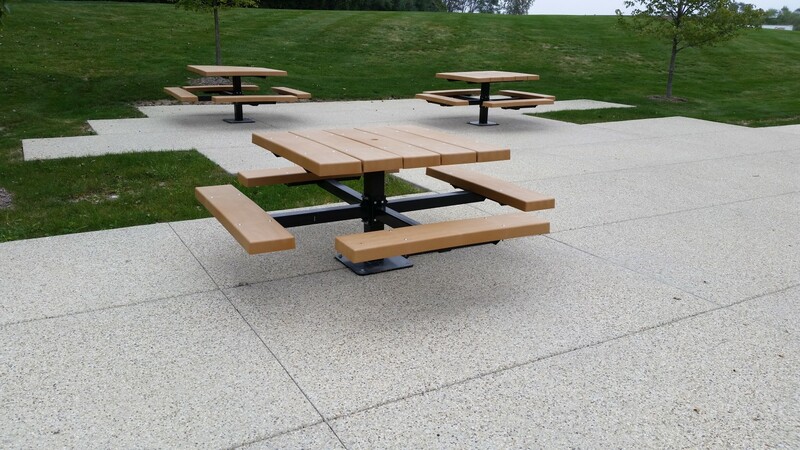 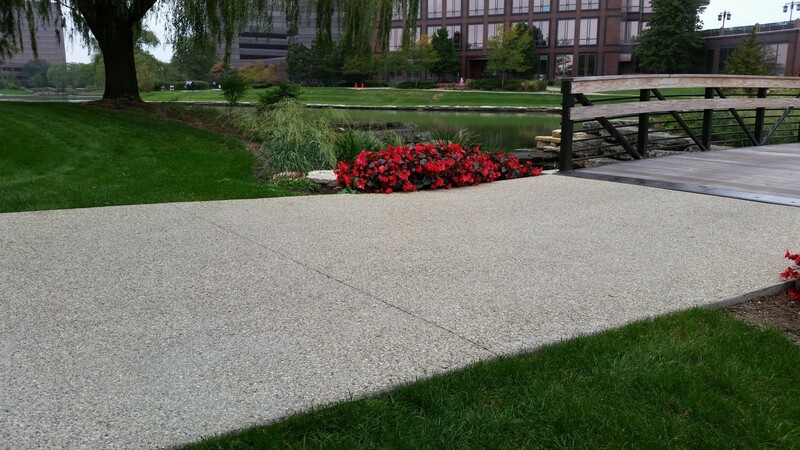 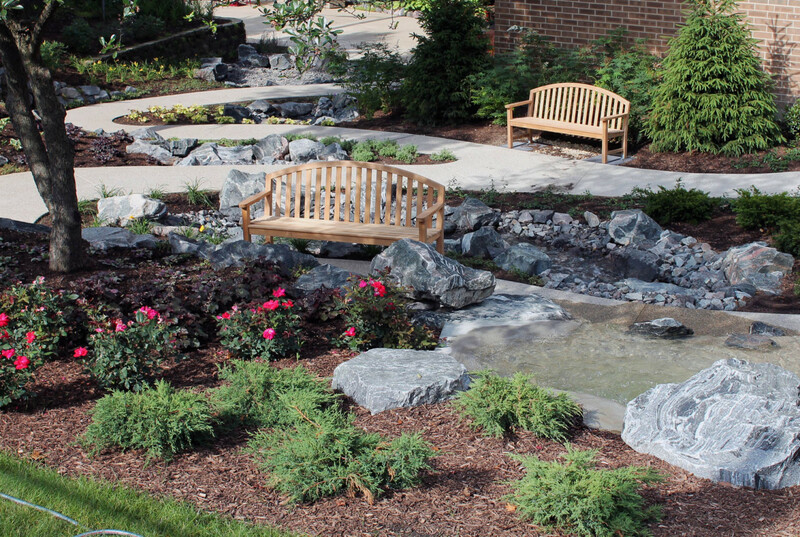 We also installed a new exposed aggregate park patio for employees to enjoy. 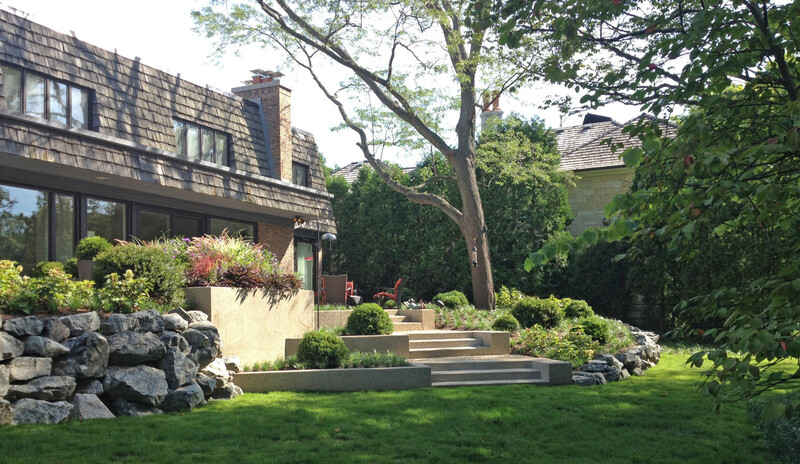 The angular designed patio overlooks a lake.